How to refute The Holocaust(TM) in ten minutes? If you were given ten minutes on a major TV show to say whatever you wanted to about The Holocaust(TM) what would you say? What are the key points that both refute the lie, and have the potential of persuading a large audience? Piece of cake. How about in 10 seconds? - The gas chambers as alleged are scientifically/physically impossible. - They cannot show excavations of the alleged mass graves. - If there was a plan to exterminate every Jew the Germans could get their hands on, as alleged, then why are there multitudes of so called "survivors"? - Why did the Germans give the inmates at Auschwitz a choice to stay and wait for the advancing Soviets, or retreat with the Germans? Why did most choose to leave with the Germans? Why would the Germans allow 'witnesses' to stay behind in the first place ... if the claims about 'extermination' were true? - Why have the aerial photos of period been obviously and desperately altered? I could go on & on. If an informed Revisionist had ten minutes, those attempting to defend the absurd 'holocaust' wouldn't have a chance; as can been seen at this forum when those from the so called 'Holocaust' History Project have tried. This is really too easy. Where are all the "huge mass graves?" Show me just one of the alleged mass graves at Belzec, Chelmno, Sobibor or Treblinka. Millions of people cannot magically disapear without a trace. IF the holocuast story is true, then there are "huge mass graves" at the alleged" pure extermination centers" that would prove it. The "final Solution" was an emigration policy, not an extermiation pogrom. What is 6 - 3 ? And what is 3 - 1.4 ? And what is 1.6 - 2 ? Legally putting the jews / bolsheviks (the sworn enemies of Germany) into camps under the supervision of the Red Cross and/or expelling them into the Ukraine, Russia ect., does not a holocaust make. The problem with talking about mass graves is that there are mass graves in Eastern Europe. Who is in them is a different matter. I'm not saying your point is invalid. The problem is that the Holocaustians will try to deceive the uninformed by pointing to existing mass graves and claim that we don't know what we are talking about. The will, of course, be comparing apples and oranges, but to those who have seen neither, the ruse will probably work. That's were The Final Solution Forensic Challenge reward comes into play. It focuses the attention on the alleged "pure extermination centers" and not on the holohoax as a whole. Focus on the "Final Solution" rather than the holocaust. No mass graves at the "pure extermination centers" means that the "Final Solution" was an emigration policy, not an extermination pogram. No extermination policy = No holocaust. I know it's hard to break the propaganda power of the big-lie in ten min., but that's why you have to focus on something smaller than the big picture. If you only have 10 min, your have to find a crack in the big lie and try to open it up for people to see as best you can in such a short period of time. Greg Gerdes wrote: That's were The Final Solution Forensic Challenge reward comes into play. It focuses the attention on the alleged "pure extermination centers" and not on the holohoax as a whole. But what about the crematoria? Won't the Holocaustians claim the bodies were all reduced to ash and used as marling by German farmers, or some such nonsense? Are there specific claims of actual mass graves that have been refuted? oberststuhlherr wrote: But what about the crematoria? 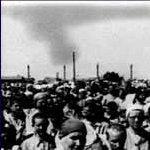 There were no crematoria in the so-called "Reinhardt"-camps (Treblinka, Sobibor, Belzec). According to the holocaust-story the victims have been buried in mass-graves and were later excavated and burned on rails without leaving a trace. Why is it that the American Jewish Committee has buried the site at Belzec under thousands of rocks and thus made any examination impossible? David Irving wrote: NOW why would any learned person seek to prevent a 600 foot trench being dug across the site of a former Nazi camp? This is what archeologists routinely do when they seek to unravel the mysteries of the past. Of course, wise people have done their damndest to prevent any proper archeological surveys of the more mystery-shrouded Nazi death sites. Cynics would say that their purpose is to prevent Real History from replacing or at least downsizing the Myth. We are sure this consideration can not be what underlies this Rabbi's belated concerns. David Irving wrote: [...] the construction by the American Jewish Committee of a monument the size of four football fields -- and by a "field of lava" about which Alan earlier told me and which I took to be one of his characteristically opaque jokes. The lava field is quite impossible to walk across, a kind of moonscape, with a concrete passage from the gate to the monument, a half-size imitation of a Wailing Wall, at its far end. The monument covers all six mass graves, says Mike. His report is quite interesting to read. (1) Although we were told all during the war that millions of Jews were being murdered in Germany, by dozens of bogus methods, and although many guards were beaten to a pulp to confess of such crimes and then hanged, it was quickly discovered by American pathologists as early as 1946 that there never were lethal gas chambers in Germany...Recall the guards were hanged for "crimes against humanity" ...not gassing...because we knew at that time that gassing had never happened..
(2) Although we have all seen the pictures of hundreds of dead and dying prisoners, mostly taken at Bergen-Belsen, the victims are obviously of disease. They died of the same fate that killed 2/3 of the 650, 000 victims of the American civil war: dysentery, and typhus. (3) How many lies to you have to be told before you realize that you are being lied to? (iv) There were hundreds of people coming and going into the camps all day long, supplying the camps with food, supplies of all kinds, and yet no one has ever mentioned, and yet no has ever admitted to seeing any evidence of gas chambers, the enormous amount of fuel required, the thousands of dead bodies every hour, or the dust. Aerial photos show the same lack of evidence… Even Eli Wiesel never mentioned gas chambers in his first book on Auschwitz, after having been interned there himself. (v) The Red Cross reports...in order to make the holocaust story stick...the Zionists have had to slander the Red Cross, The Pope, and ignore the fact that neither Churchill, DeGulle, Stalin nor even Eisenhower, ever mentioned a word about gas chambers in their memoires of the war. (vi) The David Cole video…if that doesn’t do it, nothing will. (viii) Finally. Remember these are the same people who lied to us about the creation of Israel…Their motto and lie….” A people less land for a people with no land”…as they looted, stole , murdered and drove 700, 000 defenseless Palestinians out of there homes, villages, farms, orchards and gardens, never to allow them back to where they had been living since the beginning of time… These are the same people who financed, implemented, and controlled the so-called Russian Revolution that killed untold tens of millions of Russian Christian landowners, and then covered up their role in this the greatest slaughter of Christian people, churches and priests of all time…These are the same people who made the Iraqi war a reality....and are trying to create an war against Iran....They are master liars. Believe not a word of which they claim. Just one german wartime document, report or memo stating that analogy. Just one forensic report about any of the huge massgraves needed to hide those thousands of bodies in at least one extermination camp. Just one forensic document proving that at least one of the alleged extermination gas chambers was really used as an extermination gas chamber. Just one document, blueprint or invoice clearly related to an extermination gas chamber. The Holocaust industry and their clients (believers in such a huge industrial killing plan with gas chambers) have to stand only in a few post-war eyewitness testimonies. That's up to you. The point that keeps me skeptic about the Holocaust is that many of the post-war evidences have turned to be frauds made up to support the "Final Solution" theory. Those have been and are still exposed by revisionist investigators since 1950.
oberststuhlherr wrote: If you were given ten minutes on a major TV show to say whatever you wanted to about The Holocaust(TM) what would you say? 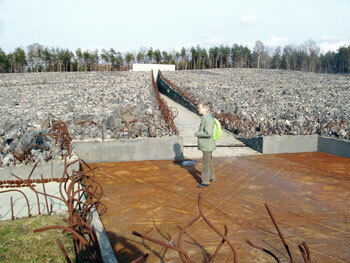 Ten seconds would be enough for Faurisson's slogan: "No holes, no Holocaust", followed by "there are no holes in the surviving roof of the 'epicenter of the Holocaust' (Robert Van Pelt's designation), therefore the alleged genocidal gas chamber didn't exist as such and the few witnesses who claim to have seen it are false witnesses." Ten minutes would allow the enunciation of precisely what the "Holocaust" is purported to be, followed by a short explanation of the implicit absurdity of the concept itself: a vast German conspiracy to secretly exterminate an entire race in the hope future historians would be at a loss to determine what had happened to it, with no plan, no written orders at any level, no assigned method of mass murder or bureaucratic control, leaving it to the imagination of a whole bunch of telepathic improvisers who then came up with mass execution by steam, electrocution, non-toxic Diesel exhaust, Zyklon B insecticide etc., and not the slightest remaining vestige of such a carnificine in any of its precisely located alleged sites. And, of course, survivors galore from such alleged "extermination camps" as Auschwitz more than 60 years later. ASMarques wrote: A vast German conspiracy to secretly exterminate an entire race in the hope future historians would be at a loss to determine what had happened to it, with no plan, no written orders at any level, no assigned method of mass murder or bureaucratic control, leaving it to the imagination of a whole bunch of telepathic improvisers who then came up with mass execution by steam, electrocution, non-toxic Diesel exhaust, Zyklon B insecticide etc., and not the slightest remaining vestige of such a carnificine in any of its precisely located alleged sites. And, of course, survivors galore from such alleged "extermination camps" as Auschwitz more than 60 years later. And all this promoted by people who always cry "CONSPIRACY-THEORY, CONSPIRACY-THEORY!!" when someone doesn't swallow the official storyline regarding for example Pearl Harbor, the JFK assassination or 9/11. 1) The Germans had nerve gas which would have been many, many more times effective. 2) The Germans simply hadn't the fuel to carry out such mass cremations as alleged. 4) Revionists jailed, beaten, killed. 5) The 'first' Holocaust, post WWI. Six million are dying! 6) Jewish sources claiming Saddam had German-supplied gas chambers rigged up in 1991, for which to gas the chosen. 7) Claims of atomic devices, pet bears and steam chambers. 8 ) 'Confessions' beaten out of Germans, some to death. 9) Witnesses breaking down and crying at Zundel trial, admitting they're bare-faced liars. Anyone who is informed about this, and dismisses it, is obviously incapable of independent thought. If I may consolidate the many excellent points already made. The Germans towards the end of WWII, Ad Hoc, without any written orders to facilitate the procedural operations, performed Ritual Murder against millions of noncombatants including 6 million noncombatant Jewish children, women and men. Exactly the statement, which Germans would have with large brutality the poor Jews into the Gaskammern squeezed and then still through cyclone B with the killing to help to have, disproves the Holocaust! The killing with cyclone B would not have succeeded, since the Jews would have been suffocated before already because of air shortage. Dead ones one cannot kill however still more. No witness stated ever, the Jews would have been simply suffocated. The simple asphyxiation letting besides the most efficient (fastest) procedure would have been and keep in trackless. Churchill, DeGulle, and Eisenhower, may have even helped instigate and navigate the spreading of the gas chamber lie while they were alive but none was willing to be branded a liar for eternity in death.